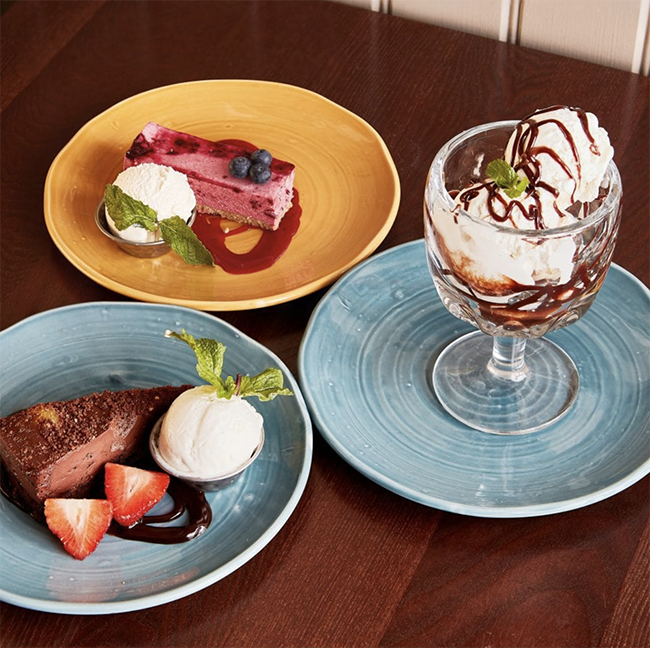 With an ever-increasing demand for meat-free and vegan options, pub chain Harvester has added some truly tempting new vegan dishes to its menu to give customers plenty of choices when dining out. The brand new vegan menu, which will be launched in 200 Harvester restaurants across the UK this January, includes a wide range of starters, main courses, and puddings. The new menu is not the first time the company has offered vegan options on its menu as it tested the water in 2017 with the addition of new plant-based mains and desserts, including a delicious rice pudding. According to Harvester, the brand new menu “marks the first time a major national restaurant brand of this kind (casual dining) and size has launched such an extensive vegan offering”. 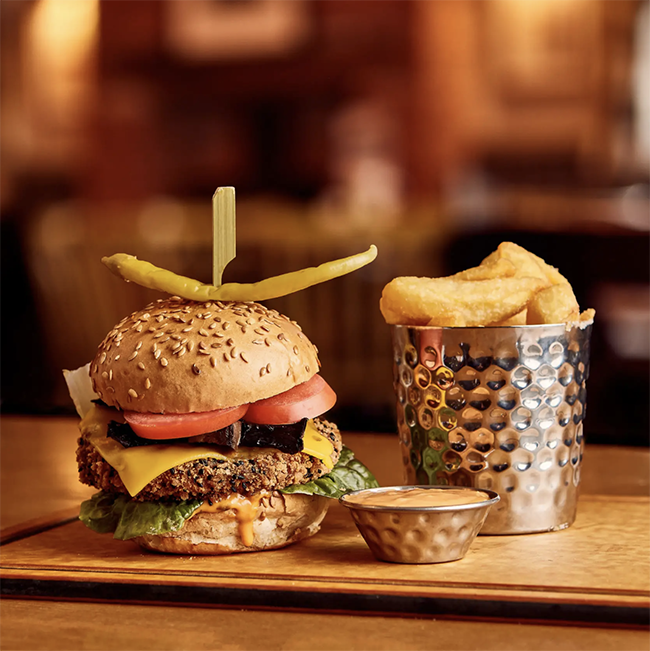 New vegan additions to the menu include a selection of burgers such as a vegan bean burger, named the Beyond Bean Burger, topped with Violife “cheese”, as well as the Moving Mountains’ B12 Burger plant-based patty for diners who prefer a patty that mimics the taste and texture of meat. 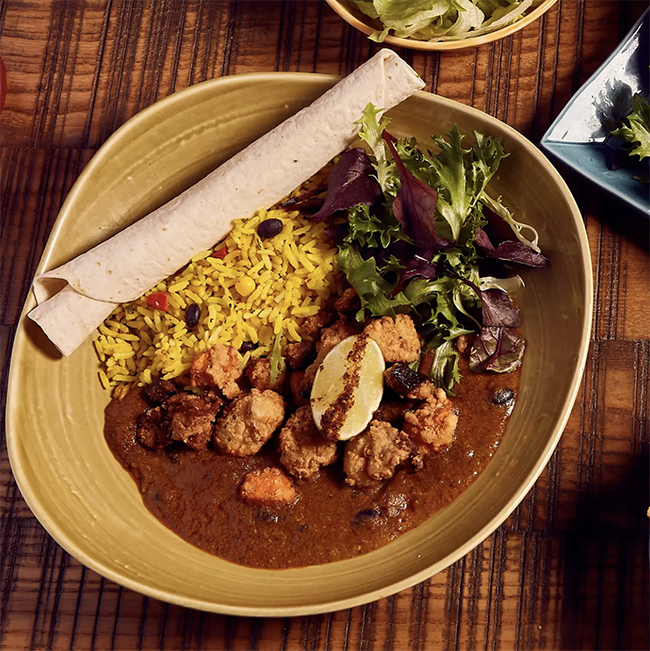 There’s also a Jamaican-style Katsu Curry, which comes topped with breaded aubergine, sweet potato and cauliflower with golden rice, beans and a flatbread to mop it up. 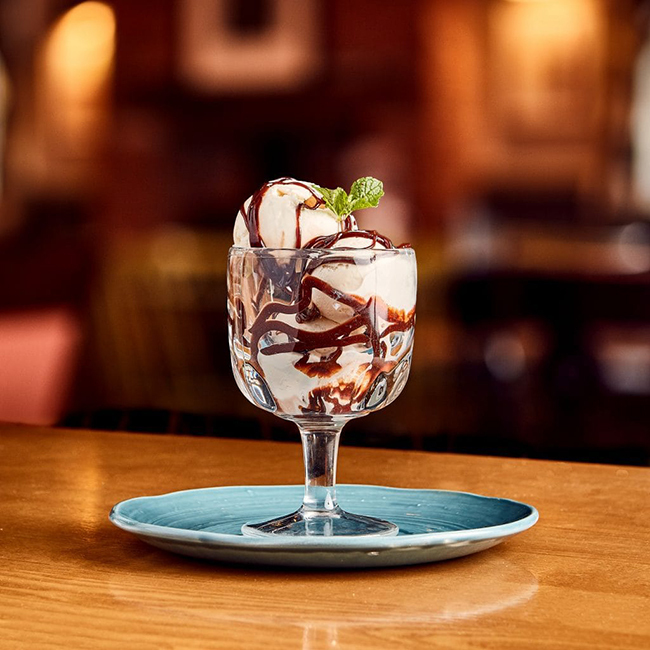 Vegan Sundae Best – This spectacular sundae consists of scoops of vegan vanilla ice-cream, drizzled with a choice of either Belgian chocolate, raspberry or strawberry sauce. Chocolate Orange Slice – A dense and chewy brownie base with rich chocolate and zesty orange mousse makes for a spectacular dessert. Blackcurrant mousse – This light and fluffy mousse comes served on a light biscuit base, accompanied with a scoop of dairy-free vanilla ice cream. Creamy Coconut and Black Cherry Rice Pudding – The chain has added another plant-based rice pudding to its menu in the form of slow-cooked coconut milk rice pudding served with fruity black cherry compote. According to Anneli Fereday, Marketing Manager at Harvester: “Veganism is the word on everyone’s lips at the moment, making January the perfect time to extend our vegan and vegetarian menu. The new vegan menu is available now with prices starting at £6.99 for vegan mains and £3.99 for desserts.